The corporate directory provides quick access to Name and Telephone records for Elizabethtown College faculty and staff directly from your office phone. 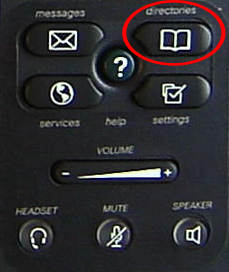 Step 1:Press the directories key. 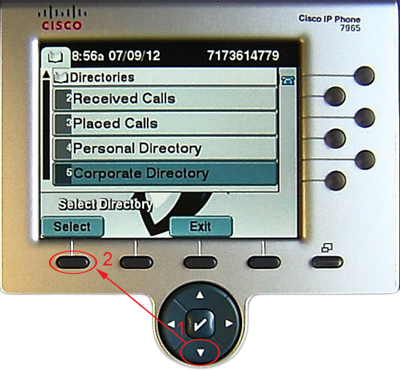 Step 2:Using the directional arrows, highlight Corporate Directory. 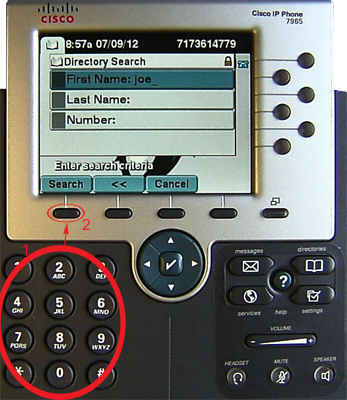 Step 3:Using the keypad, enter the First or Last Name of the person you would like to look-up. Alternatively, enter a number to look-up a person's name. Press the Search softkey. 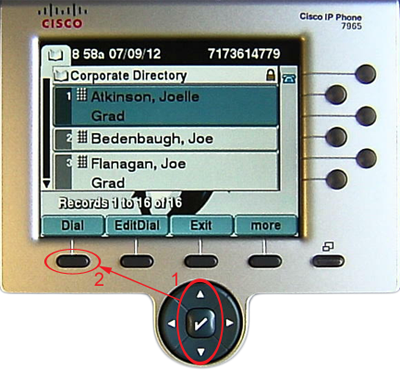 Step 3:Using the directional arrows, select a person to dial.